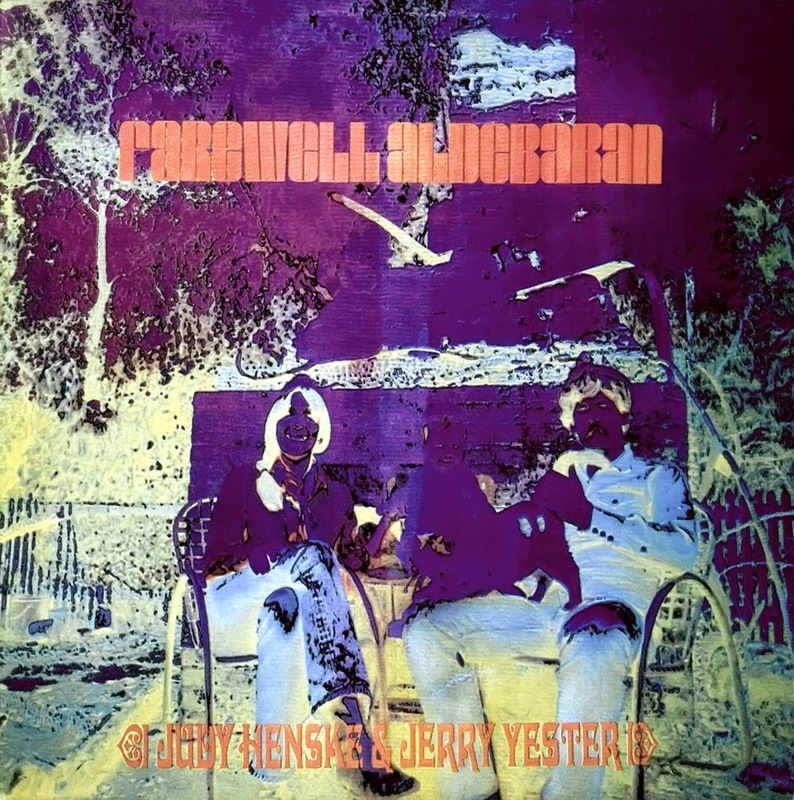 The rich, satured cover of Farewell Aldebaran, where a photo of Judy Henske and Jerry Yester, sitting with child and cat in a broken-down backyard is subjected to color solarization, suggests a carapace of psychedelia has been draped over the album. You should run with that instinct, but don’t be too reductive about it. The timing was right - Henske and Yester recorded and released the album in 1969, the former already recognized as a talented folk singer and the latter an ex-member of Lovin’ Spoonful and The Magic Ride - but ultimately Farewell Aldebaran is a stylistic index. The duo pushes bolshy, militant rock songs like “Snowblind” up against carnival tunes (“Horses on a Stick”) and melodramatic surrealism (“St Nicholas Hall”), and the arrangements gesture toward folk, Californian pop, hillbilly music and acid rock without settling into anything pro-forma. The studio is the pop alchemist’s plaything, the space within which artists can unlock prodigious creativity and document it on quarter-inch tape. Accordingly, Farewell Aldebaran sounds ripe, borderline sumptuous at times and positively stuffed at others. It refuses to rest, scratching little details into the margins of each song, and the arrangements err on the polite side of overblown, full of grand sweeps of strings and arcs of pungent melody, with Henske’s voice moving from dulcet to amorous to acidic. When Yester joins her at the microphone, they twang nasally through “Raider” and feed themselves through primitive electronics on the closing title track, dislocating their physical presence. The whole thing is faintly alien in tone and psychedelic in the truest sense - opulent and temporally dislocating.